Mediterranean cultural landscapes/seascapes have been shaped, over millennia, by the reciprocal relationships between people and their environments, resulting in a vast and unique regional biocultural diversity. 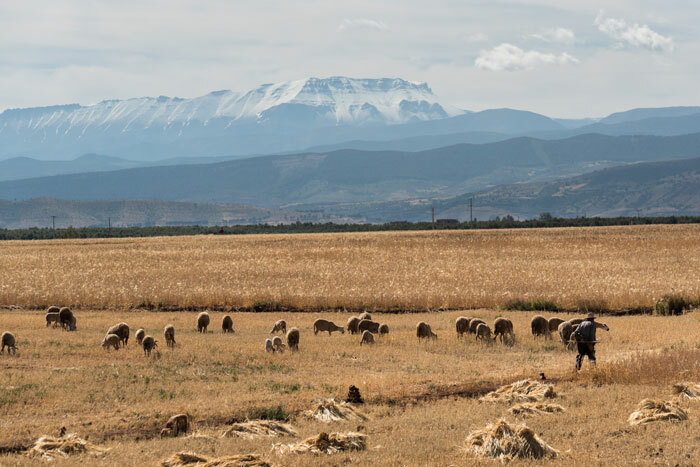 The Mediterranean biodiversity hotspot is ranked as the third-richest in terms of plant diversity and covers over 2 million square kilometres. It is widely recognised that this diversity is the result of the knowledge and practices of Mediterranean peoples who have developed highly specialised systems of landscape/seascape management to deal with the region’s climatic and geographical challenges. Entitled “Community-based management in the Mediterranean: innovations in socio-environmental research and action”, MERA 2018 will gather around 25 emerging environmental changemakers from the Mediterranean region who are passionate about conserving Mediterranean biocultural diversity, maintaining its cultural landscapes/seascapes and sustaining the livelihoods of the communities who manage them. MERA 2018 will focus on the relationships between nature and culture in the Mediterranean, and in particular on the role of community-based resource management systems in maintaining unique landscapes/seascapes and biocultural diversity they harbour. 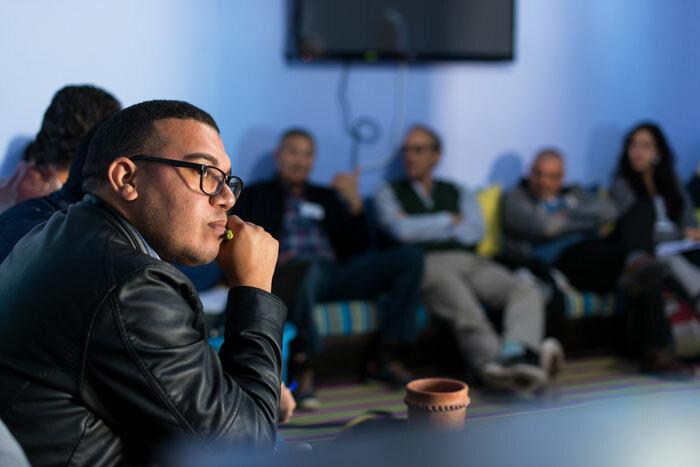 The academy aims to create spaces where new ideas, methods and solutions to the region’s pressing socio-environmental challenges are co-developed. Different formats and facilitation methods will be used in the MERA sessions including interactive sessions with regional experts, dialogues and debates, participant presentations, skills workshops, field visits, and peer-mentoring sessions. Experts of the region will participate as facilitators and mentors. Activities will be carried out in two different locations in the High Atlas Mountains, the rural communes of Ait M’hamed and Imegdale, sites where GDF has worked since 2013. The academy fee is €600 for the full 10 days. This includes tuition, accommodation, meals, transfers, field visits and materials. It does not include international travel and health insurance. It is expected that participants will be proactive in raising funds to cover the cost of the program either through institutional scholarships, crowdfunding campaigns, personal funds, employers’ funds, government funds or other means. Some partial fee waivers will be provided for participants facing economic challenges. Candidates for MERA 2018 must be actively engaged in research or practice in a Mediterranean country in the fields of conservation of agroecological, biological and/or biocultural diversity, cultural landscape/seascape management, community-based land and resource management systems, community-based ecological knowledge and practice, sustainable livelihoods and wellbeing in rural Mediterranean settings, or the relationships between development and environment, amongst others. Community leaders are especially welcome. We have now received applications from impressive early career researchers and practitioners in the Mediterranean basin, including graduate students, early post-docs, professionals and practitioners, eco-businessmen/women, communicators and policy-makers. We currently have 17 accepted participants from nine Mediterranean countries (Albania, Algeria, France, Greece, Lebanon, Morocco, Spain, Tunisia and Turkey), with a range in age from 23-40 years, including 7 women and 10 men. With educational levels ranging from completed undergraduate to postdoctoral, they work primarily on terrestrial ecosystems with a few applicants dedicated to coastal and marine environments. We are no longer receiving applications for MERA 2018, but we are still accepting nominations of suitable candidates by selected institutions that promote agroecology, biocultural diversity conservation and cultural landscape or seascape management in the Mediterranean. All initial applicants received a response to their application before 15 July 2018 and we are now receiving nominations from selected institutions until 25 August. We will then request further information from shortlisted candidates, including potential funding sources. Applicants who requested a partial tuition scholarship will be asked to demonstrate their need for economic support. The selection of 20 finalists will be carried out by a jury that will examine individual applications, evidence of candidates’ fund-seeking actions for the academy fee and the overall diversity of the cohort. To attain a balanced and diverse group of participants, factors such as gender, country, professional background as well as areas of interest will be considered. MERA 2018 finalists will need to confirm their participation by 1st September 2018. Finalists will be announced by 15 September 2018 and applicable fees should be paid by 30 September 2018.